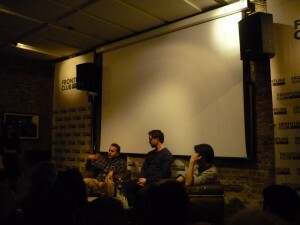 On Friday 7 February, the Frontline Club was fully booked and the audience buzzed with anticipation for the screening of A World Not Ours followed by a Q&A with director Mahdi Fleifel, editor Michael Aaglund and a last-minute addition of producer Patrick Campbell. 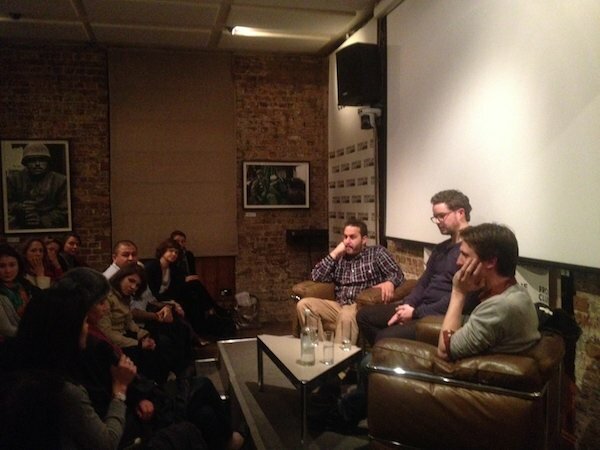 The film is set in the Palestinian refugee camp of Ain el-Helweh in Lebanon, where director Fleifel spent most of his childhood summer holidays since his family moved to Denmark. It is edited down from over 100 hours of footage, both from home videos shot by his father and from different filming trips he made. “I didn’t really know where this was going. I was just filming and filming and filming, with this some sort of idea that one day I’ll make something,” said Fleifel.